It’s my pleasure to welcome back my guest Laurel O’Donnell for another Medieval Monday! 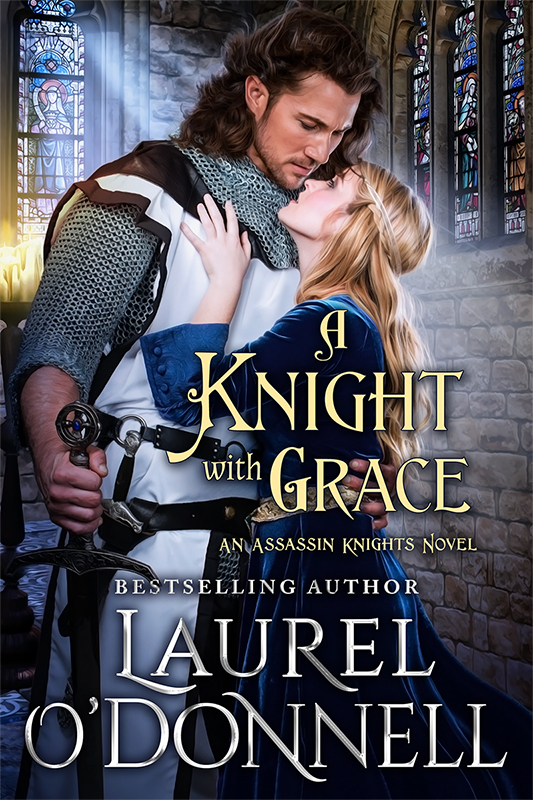 Today Laurel is sharing a snippet from her novel A Knight with Grace. Isn’t this cover just gorgeous? Remember to show some love to Laurel by leaving a comment and happy reading! It worked. Her face fell; hurt shone in her vulnerable eyes before she turned away. Without a word, she moved back to her spot beneath the tree opposite of his. She lay down, keeping her back to him. You can find my snippet this week from ONLY FOR YOU on Laurel’s blog here. Leave me a comment for the giveaway I’m having for this Author’s Choice theme! I actually purchased this book in February and cannot wait to read it! Those TBR piles sure to grow fast, don’t they?